The much anticipated Soweto Derby came and went. Orlando Pirates came from behind to rescue a point from Kaizer Chiefs having gone behind by way of a penalty. 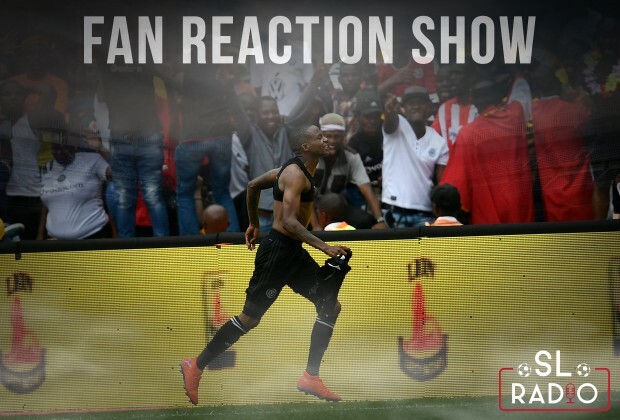 In this episode of the Fan Reaction Show, one Chiefs fan reckons that the Bucs were fortunate to escape with a draw. Meanwhile, Mamelodi Sundowns fan Mzekezeke says he is elated with results from the weekend as they went his club’s way despite them not playing. I said it before. Chiefs fans and their coach are delusional. What they smoke is not good for them. We understand that they are happy with the ref's decision (they always go their way) but to talk about luck is dreaming. How many saves did Sandilands make? And even then is he not a Pirates' player?